cx:metadata-extractor — Extract metadata from images. The cx:metadata-extractor step returns an XML description of the metadata associated with an image. 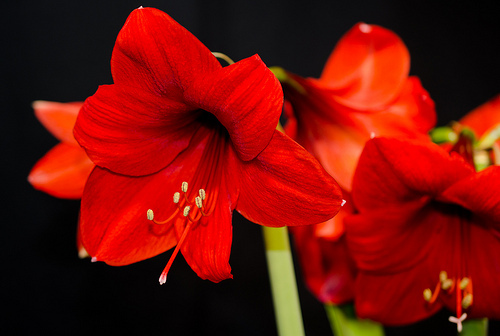 For example, the metadata associated with the image in Figure 1, “Amaryllis” is shown in Example 2, “Amaryllis metadata”. In practice, the amount of metadata associated with an image is almost arbitrarily large. Example 3, “Digital Camera metadata”, for example, shows the metadata associated with an image from a digital camera. The cx:metadata-extractor step relies on Drew Noakes’ Metadata Extractor libraries. If the image identified is not a JPEG image, then the underlying Java Image properties are returned, if possible. For example, a PNG image might return results such as those shown in Example 4, “PNG metadata”. The “Exif Version” of “0” is returned to identify this case. This step is implemented by the xmlcalabash1-metadata-extractor module. The jar file from that project must be in the class path in order to use this step.